Start Here! Please select the county where you received your citation. 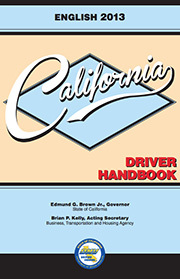 This traffic school course is currently not approved for County, California If you live in County, California but received your ticket in another county, please go back and select the proper county where you received your ticket to see if our course is available. For more assistance, use our California Clerk of Court Directory to contact the appropriate court officials that can give you detailed information regarding your traffic violation. Got a Traffic Ticket in Marin County? Getting a traffic ticket isn't an experience that people usually enjoy. Unlike many counties in California who have seen a decline in death and injury rates, Marin County's traffic death rate increased between 2012 (the latest year for which there are figures) and 2011 and the traffic injury rate only decreased by one percent. Can you imagine what the highways would be like without traffic law enforcement? If you've received a traffic ticket in Marin County, you may have the option to attend online traffic school. Successful completion can keep points off your driving record and help you avoid auto insurance hikes. To see if you are eligible and to receive permission from the court to attend traffic school, contact the Marin County Superior Court.